Americans are always looking for ways to include more fiber and protein in their diets without sacrificing taste. Now we can with new freekeh and all natural high fiber grain infused with protein and flavor. “On average, Americans consume 6.4-oz equivalents of grains per day – with only 0.6-oz. equivalents of whole grains per day,” according to a recent Storm Lake Pilot Tribune article. That’s a mere one-tenth of what they should be getting. Part of the reason for this nutritional oversight is the tendency for package labels to be misleading. Oftentimes, in an effort to make consumers believe their products are healthy, manufacturers will insinuate that they are whole grain when in fact they don’t meet the definition of a whole grain. Freekeh is a delicious and nutritious addition to soups, salads, pilafs, chili and stew. In the cookbook, “30 ways to freekeh!” author Bonnie Matthews presents 30 delicious fall recipes you can try with freekeh. These include, hearty one-pot meals, spicy freekeh jambalaya, paella, unique vegetarian options, including Mexican tacos, empanadas and even freekeh sushi! Freekeh is so easy to make. All you need to do is simmer it in water in the same manner as you would cook rice. After it is cooked you can enjoy it plain or as an addition to your favorite recipe. When I made freekeh I divided it in half and mixed half of it with 2 T of olive oil, red and yellow pepper slices, sliced zucchini, Italian seasoning and a little bit of garlic. I then served the other half plain. My kids and I enjoyed both versions. Even without the added seasoning freekeh is delicious all by itself. 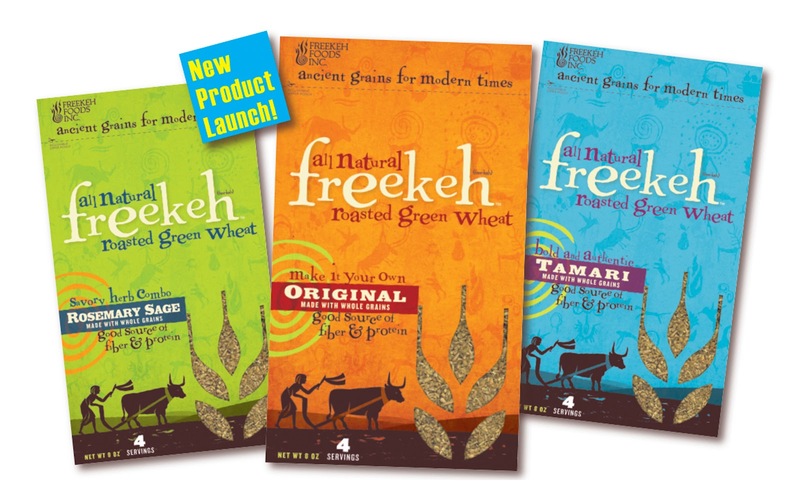 Freekeh comes in three delicious flavors, Freekeh Original, Freekeh Rosemary Sage, and Freekeh Tamari. For more information on freekeh visit freekeh-foods.com. *Disclosure: I received a package of Freekeh Original in exchange for this review. All opinions are accurate and 100% mine.